Norman McLaren is the most honoured filmmaker in Canada. In his lifetime he received literally hundreds of awards and prizes for his work. McLaren’s talent and ability came early in his life. Born in Stirling, Scotland, he grew up fascinated by motion and imagery and gravitated easily toward the Glasgow School of Art where he studied design and made his first, short, student films. Upon graduation he applied for and was given a job at the GPO Film Unit then being headed by a certain John Grierson, who had been born in Deanston, Scotland, some 16 years before McLaren. This meeting was pivotal in his career in so many ways. To understand a little of McLaren`s work, you have to know a bit about Grierson`s approach to film. In 1933, he wrote, “I have no great interest in films as such. Now and again, shapes, masses, and movements so disport themselves that I have a brief hope that something of the virtue of great painting may one day come to cinema…” These “shapes, masses, and movements” almost perfectly define the work of Norman McLaren. But Grierson’s main role in the life of Norman McLaren was yet to come. 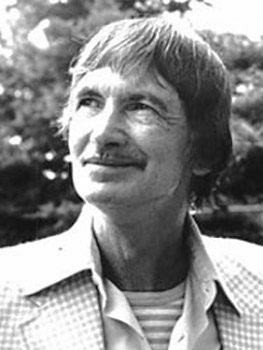 Grierson is often referred to as “the father of British documentary” and in 1938 he was invited by the Government of Canada to prepare a report on government film activities. Tabled on June 23, 1938, this landmark report recommended the founding of a National Film Board of Canada to be headed by an appointed film commissioner. His report caused the government to act, and Grierson actually had a hand in drafting the language of the National Film Act that was passed by a final reading in the House of Commons on March 16, 1939. Seven months later John Grierson accepted the position of film commissioner and set about to create the National Film Board we know today. Meanwhile, his former co-worker, Norman McLaren, was an independent animator in New York having arrived there in 1939. Two years later, in 1941, John Grierson contacted McLaren and offered him the chance to establish an animation studio and to train the first generation of Canadian animators at the National Film Board in Montreal. With the exception of two brief stints in China and India for UNESCO, McLaren remained with the NFB until his retirement. What made McLaren special was his constant innovation. Not content with traditional forms of animation, he tried drawing scratches directly on the film or painting on the film. Occasionally, to achieve the desired effect, he would cut holes in the film, which seemed to animate light itself. Most people think of animation in the classic Disney sense of the word. McLaren was different. He didn’t need words or a storyline. Sometimes the images moved to music as in 1949’s Begone Dull Care, which used the music of the then up-and-coming jazz pianist Oscar Peterson. While always remembered for his animation, one of his most famous films used real people. But McLaren used stop-motion to animate the real people, friendly neighbours until a single flower pops out of the ground exactly on the border between the two friends. Neighbours, only 8 minutes long, was produced in 1952 during the Cold War and is a lasting testament to the futility of using violence to resolve conflicts. It is as powerful today, though a bit dated and quirky, as it was when it was first released. 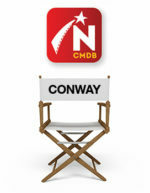 Neighbours won both an Academy Award and a Canadian Film Award along with numerous other awards and prizes. It isn’t known if McLaren was thinking specifically about Grierson’s statement about film when in 1960 he began work on a trio of films that are his most complete expressions of the universality of abstract forms. The first two, Lines Vertical and, Lines Horizontal, were released in 1960 followed in 1961 by Mosaic. Lines Vertical was made by scratching lines of various widths directly onto a section of 35-mm film leader and then transferring this black-and-white film through an optical printer, exposing it through different coloured filters, onto colour film stock. To make Lines Horizontal, McLaren arranged to project the vertical version of his film through a prism capturing the images anew but at a 90-degree angle to the original. Mosaic was a combination of both. These three films, animated by McLaren, were co-directed by the NFB’s Evelyn Lambart who worked with McLaren on many of his films. If captivated by the modern technological look achieved in these films, McLaren was equally enamored by the fluidity of dance, particularly ballet. In 1967 he released Pas de deux, then came Ballet Adagio five years later, followed by Narcissus in 1983. In 1985, just two years before he died, Norman McLaren donated his life’s work of 72 films to the Museum of Modern Art in New York and to the Academy of Motion Picture Arts and Sciences in Los Angeles. 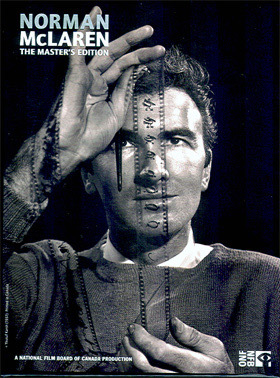 In 2006, the National Film Board released a collection of seven DVDs in a boxed set titled Norman McLaren, The Master’s Edition. Also see: Norman McLaren’s Filmography. This biography is Copyright © 2001 by Ralph Lucas and may not be reproduced without prior written permission. For more information about copyright, click here.